Beautifully written Prachi. The best gift and something to tresure all her life. Wishing u a lifetime of happiness. God Bless. Prachi you are a great Mommy. 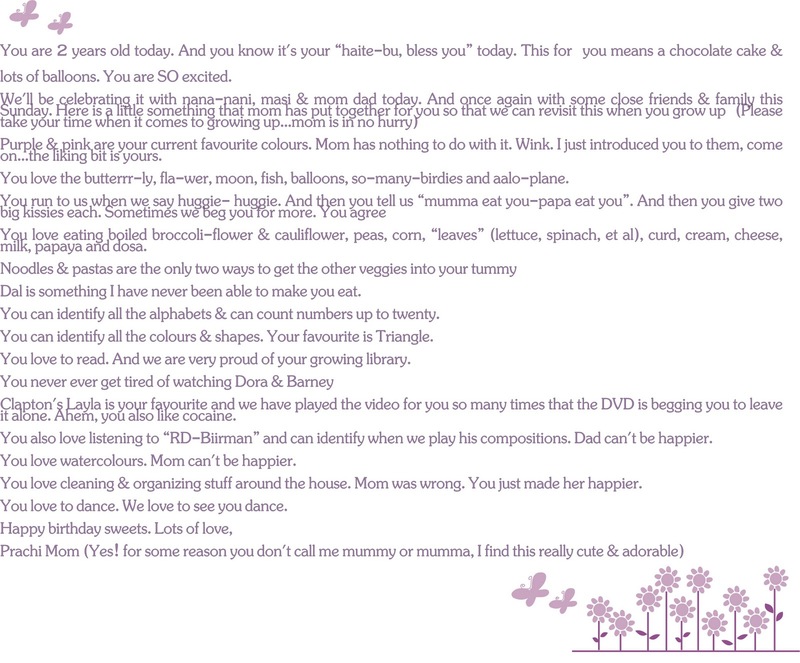 I am sure Sara will be proud to read all this when she grows up. Wish you all many more happy years to come. How sweet, this is lovely. Happy Birthday to the litle one and congrats on the website!! A BIG thank you to all you wonderful ladies. Sara says " thunk u" too. We had a lovely time with her grandparents & masi and are looking forward to celebrating her my little butterfly birthday this Sunday.Hugs. Aww...such a lovely post! Happy Happy Birthday to little color loving Sara! Happy Birthday to the little doll. 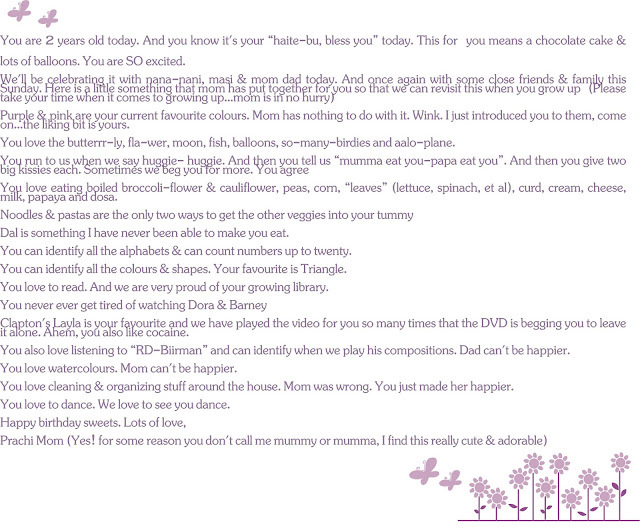 Prachi Mom, loved the little note on this post, all bright and bubbly in purple.